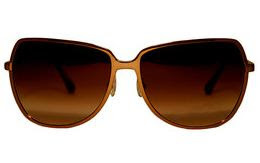 Gilt Groupe is soo major one more time, for bringing shoppers Derek Lam sunglasses for under $100. Original retail price $320. Gilt Groupe is an INVITE ONLY site, so, if you would like to be down or purchase any of these items, email me or click the Gilt Groupe ad on the right side of the screen. You have to be invited to join by a member or else be WAITLISTED......my dear fashionistas. 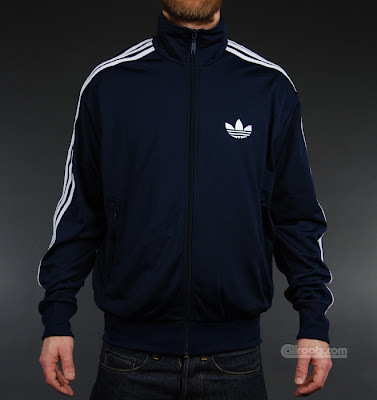 Adidas Male Jacket: Get It/Wear It!! Email Notonik for pricing info. Lil Kim in the YSL Shoes!!! Courtesy of Hip Hollywood.com I had the ability to view behind the scenes photos of Lil Kim's new video shoot. Check out the fancy footwork of the Dancing With The Stars cast member as she rocks in her YSL Cage Ankle Boot in black patent. This shoe DOES cost more than 10 Franklin's making this pair - All about the Benjamin's BABY! 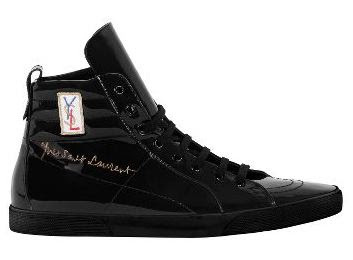 But if you want it, I can get it for you, direct from the YSL distribution center. Email Notable Styles & More here. Zoe Saldana Wants Sergios Back! I recently read in People Magazine what one thing from fashion Zoe Saldana would bring back if she had a chance. 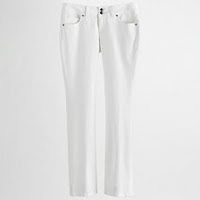 To the contrary of the hundreds of denim brands out there, Zoe said she would bring back good ole' Sergio Valente jeans. I read this statement and thought to myself, Zoe, you're right. And where have they gone? Let's see, I couldn't find one retailer of the jean online outside of ebay. 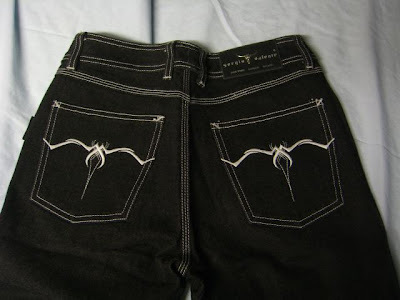 And I remember, I owned a pair back in the late 90's that had the BEST fit a jean could ever have. I also, had a a two piece fitted skirt with a tube top in denim by the brand that hugged in ALL of the right places. 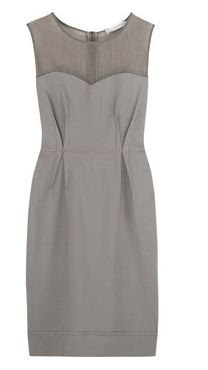 An Asymmetric Hemline At Its Best! 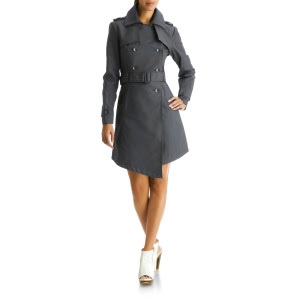 Kenneth Cole has an asymmetrical trench coat that is beyond FAB!! When you think of trench, you think of sophisticated and classic lines, possibly a double breasted button closure, long sleeves and a belt. For Spring 2009, Kenneth Cole had something else in mind. A lightweight spring trench coat was born with an asymmetric hemline. Cutting edge, modern and down right alluring! Ladies this is for you, if you appreciate understated sexiness. Of course, Notonik can handle the purchase logistics for you, all you have to do is email me. Get in the Gap Groove! Have a colorful Gap Day, with this rosamunde colored scarf. It is a very multipurpose and multi-seasonal! I have 12 of these for 12 lucky ladies or guys. Message Notable Styles & More for details or to purchase. 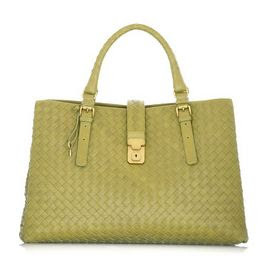 Check out this Melie Bianco textured, pad-lock tote. I have it in 3 different colors, get with Notable Styles Haven for purchase or more info. LNA, a SoCal brand, that was once popular just a year ago for luxe branded, high quality, stylish womens tees has now moved into other parts of your wardrobe. LNA offers: mens tees, womens dresses, skirts, tops and exclusives. Check out some of their new arrivals below and get with me here, for your LNA personal shopping experience, it will be a GREAT ONE! African Art Influence In Fashion! This Miu Miu Spring 2009 dress is REALLY CUTE!! And it also is giving me a African oil painting kind of vibe. Compare the artwork and the dress and let me know what you think? Hottest Hooded Dress of the Summer! Elizabeth & James (one of the two Olsen Twins' fashion labels) is pushing a nylon and polyurethane, dry clean ONLY, edgy, hooded dress. The dress is adorned with a zipper front, zippered hood and a halter top. Really, how can you make a dress any more accessible than it already is? Add zippers. Do you have the swag to pull off an easy, breezy, t-shirt like this Dolce & Gabbana one? This just isn't any old t-shirt. 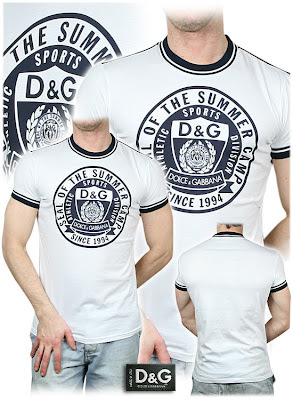 This is a Summer 2009 D&G tee, with a crew neck and 100% premium cotton. You can layer this tee, with a man sweater, a cardigan, a jacket, a vest or anything else that will tune down the logo, but show enough to draw attention. Floss the tee, with a fresh pair of denim, a blazer, and this shoe: Get with me Notonik for a personal shopping experience or if you interested in more information about these products. 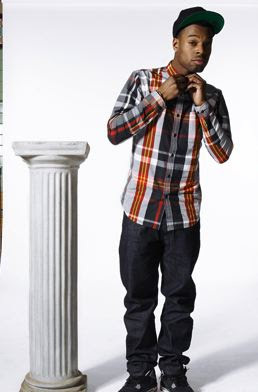 10Deep Class Reunion Spring Campaign!! 10.Deep's Interactive Spring Look Book is one NOT to miss! Click. 2 of their releases are below. Guys are you feeling the shirts and denim?? LSU VS PINK Is Jiggy!! 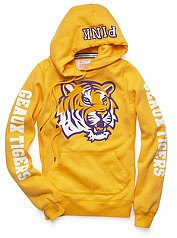 There are a series of collegiate hoodies available to the masses through Victoria's Secret PINK and this LSU one is one of my favs. If you don't want to purchase/cant afford a Juicy Couture jogging suit, Victoria's Secret PINK, casual separates will suffice. 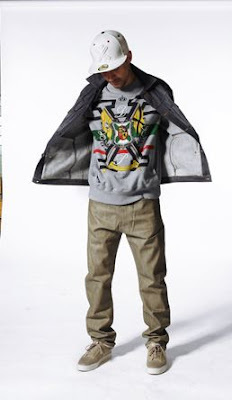 Sizes 2 - 16 are AVAILABLE! 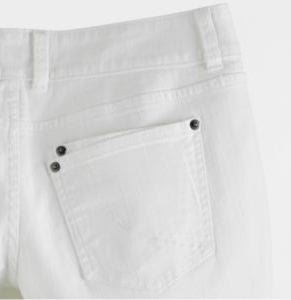 White, skinny jeans for $36.99. 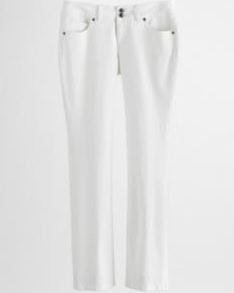 A definite Spring MUST HAVE! Online purchase only. Notable Styles Haven. DSquared2 has a mini skirt that is OUT OF THIS WORLD!!! I have to tell you that it will cost $415 to Pre-Order. If you would like to do so, click here Notonik. Have you ever noticed that Spring and Summer fashion events seem to take you by surprise and you end up having minimal (appropriate) outfit options? A lot of clubesque fits and not one with the right amount of sophistication. If this ordeal sounds familiar, I will assist you with this dilemma. The first univent outfit suggestion is a young, trendy, sophisticated, tube top dress, with a detailed empire waist. 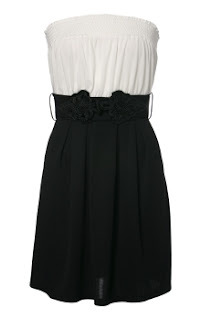 This dress will go well in a fashionable, classy setting as well as the club on an upscale night. 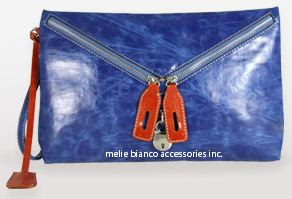 The accessories will help you paint the sophisticated picture, so be careful with your selection. I have 2 Mediums and 2 Larges in this dress. For pricing/order info you know what to do, click here. Notable Styles & More. Dress plus shipping < $40!! Yes, I have been showing the men a lot of love lately and this post will not be any different. 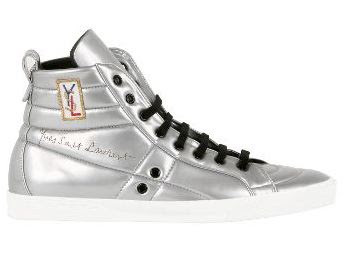 I ran across a pair of YSL men's 80's inspired sneakers, that are to DIE FOR! 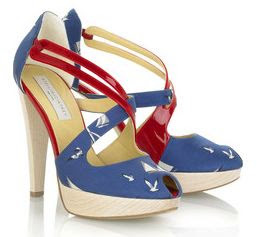 Not many words are needed to introduce these shoes. If you'd like more info, hit me up Notonik. Here is an exclusive watch selected from the shopping strip of Robertson Blvd. 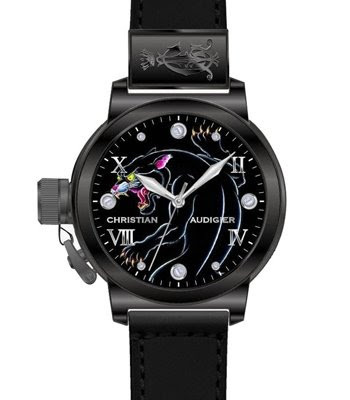 It is one of four Christian Audigier watches that I have access to. The Panther watch is water resistant, has a swarovski crystal dial, Japanese movement, a mineral glass and a buckle closure. If you'd like more info, hit me up Notable Styles Style Haven. 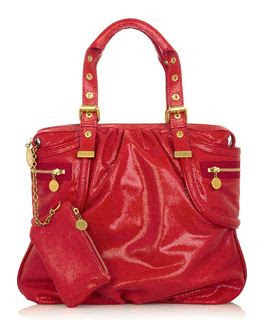 Gilt Groupe: Valentino Red on Sale - ENDS 3/11/09 NOON! 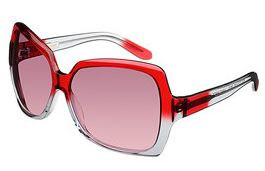 Valentino Red is a less expensive line of the luxury designs of Valentino. They are NOW on SALE on Gilt Groupe until Noon TODAY!! Prices range from $100 and higher. Look below to view some samples of the pieces available. 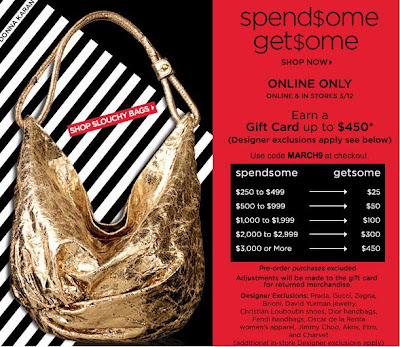 Saks Fifth Avenue $450 Gift Card!!!! I would like to offer some fashion inspiration for the beginning of the work week. Japanese fashion is one of my favorite cultures to look at when searching for a fresh new outlook on fashion. I love my American fashion roots, but I will be the first to admit, there are not many different perspectives, often enough. In my opinion, on a scale of 1 to 10, Japanese fashion scores an 8 or better in the following 3 categories: creativity, originality and flair. View the following pictures. Ladies, learn your own style preferences, everyone can look different and still be well dressed. Elie Tahari Casual and Dressy Blouse!! Victoria Beckham: The Dress Collection!! Juicy Couture has a Juicy Spring Ahead! !